Very pleased with AC Care. Dean set us up for same day service and Robert knew exactly what the issue was and fixed it. We are now comfortable in our home again. Great team! Every experience I've had with A/C Care has been amazing! Their technicians are always on time, extremely knowledgable, and will give you the TRUTH about your system. Previous companies I've used in the past were no where near as knowledgable, and when the previous company put my new system in, they did it incorrectly which was causing all kinds of malfunctions. 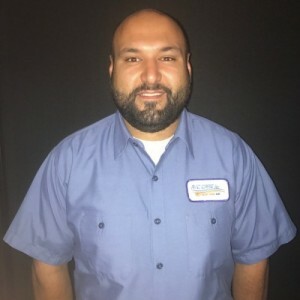 Once I found A/C Care, they came to my house, immediately discovered the issues, fixed what the previous company created, and I never looked back. A/C Care is my #1 A/C company that I trust, and will always use in the future. The A/C unit at my parents house died last year, and once I found out they were talking with different A/C companies that were going to price gouge them, I stopped their communications with those companies and called A/C Care immediately, and within 24 hours my parents house was up and running for the best price available and amazing warranty. Do yourself a favor and only call A/C Care for your air conditioner needs! The best a/c company on the Treasure Coast. The most trustworthy staff. I highly recommend AC Care. A/C Care always provides excellent, professional service! Robert was our serviceman, rating ,,, was excellent,, knowledge, courteous, thank You.